Don’t miss the biggest event in Chiang Mai! 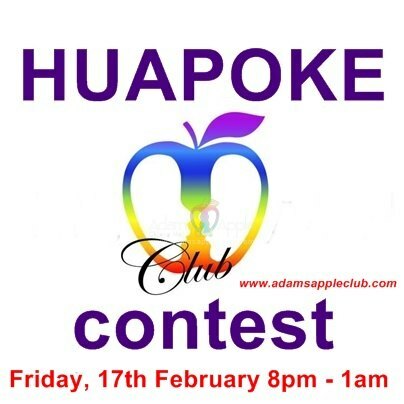 „HUAPOKE contest (Drag Queen Contest)“ On Tuesday, October 7th 10pm to 1am. Join us for one more evening of fun. All participants have the chance to win a lot off prizes. They are many different rewards waiting for the winner. 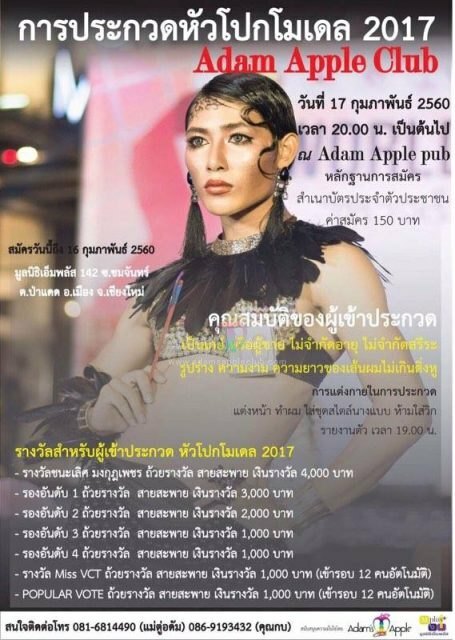 This absolute unique contest only @ Adam’s Apple Club Chiang Mai.